Home » How Has Technology Molded the Modern Entrepreneur? “Nothing is permanent except change” this saying does hold true for the modern technological advancements happening in today’s world. These changes are occurring rapidly in the form of various technological advancements which are not only changing the modern lifestyle but also the ways of doing business. Earlier, there was a time, when it was pretty difficult to start up a business of our own and even more difficult to run it on our own. It required a significant amount of capital to purchase the physical presence of the business. It was followed by costs for initial purchases, storage facilities, hiring personnels, business overheads etc. Moreover, all the business information was stored in physical form in log books and business diaries. Now, the olden scenario has gradually changed drastically with the introduction of modern technology. During the period of past two decades, there has been a rapid technological development which has changed the ways a business is done. With the advent of modern technology like computers, Internet, smart phones and tablets, it has become much easier and convenient to perform many business activities. According to a study, 67% of small business owners believe technology can give them a competitive edge. At the same time, 80% of small business owners agree that technology creates new financial opportunities for their businesses. Now, let us see how technology has contributed in changing the business life of a modern entrepreneur. 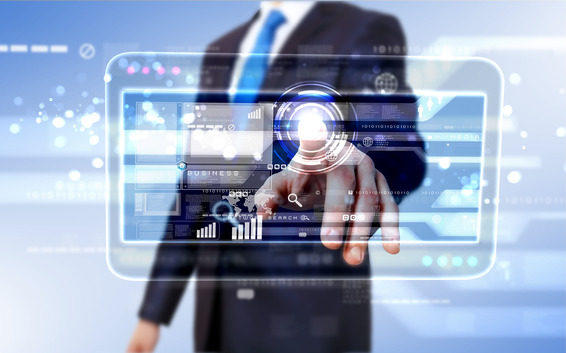 The invention of a ‘computer’ can be regarded as the most significant technological advancement, which has changed the ways a business is done. Earlier, an entrepreneur needed to input and store the business information in log books and business diaries to keep a record of the business. Now, he can easily store all the business information and data by using a computer. A computer provides with number of different programs and softwares, which enable to easily and conveniently store different types of business information. It helps to store business information in the form of files, images, data-sheets, graphs, tables, presentations and videos. As a result, it has enabled to create “a paperless office” for the modern businesses. With the introduction of a laptop computer, now it is possible to run a business from almost any place in the world as it gives the advantage of mobile computing. Moreover, computer accessories like DVDs and pen drives help to easily store and share information with others. According to a statistic, there are around 4,187,000,000 computers sold all-time until now, out of which 74% of them are being used for business purposes. 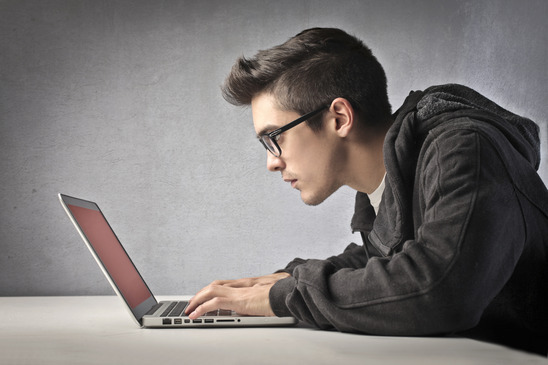 The technological advancement of a ‘computer’ has literally revolutionized the business life of a modern entrepreneur by letting him perform most business activities simply by using a computer device. The growth and development of Internet over the past decade has greatly affected and changed the ways a business is done. 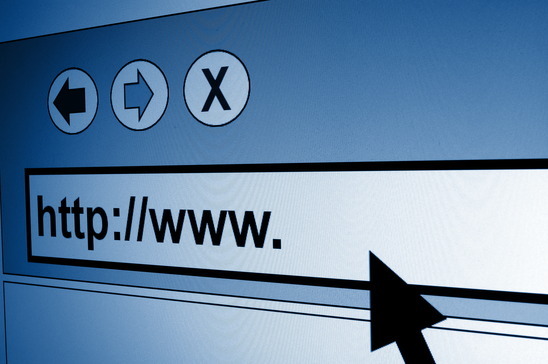 Internet, as a digital media, provides diverse utilities to a business while keeping it connected with the global audience all the time. 1. Creating a business website with all the information related to the business which can be accessed by anyone worldwide and selling products and services through it. 2. Connecting with people related to business through e-mails and chat facilities. 3. Creating an e-commerce store and buying and selling products and services online. 4. Creating a business profile on social networking media and engaging with people on those platforms. 5. Creating a B2B or B2C business portal and connecting with people through it. 6. Promoting business by undertaking e-mail campaigns or business newsletters. 7. Enhancing online business presence by registering in business directories and portals. 8. Creating a business blog and publishing articles related to business on it. 9. Promoting business by posting business images and videos on related sites. 10. Providing a 24 x 7 online customer support through website to clients located worldwide. A modern entrepreneur uses all these facilities according to the custom requirements of his business. These diverse range of utilities provided on Internet truly make it like a lifeline of the modern business. It is due to such immense utility provided by Internet that the present times are regarded as “a digital age” wherein Internet is inevitable for any business to achieve progress. According to a study, at present there are 3,035,749,340 Internet users residing worldwide out of which more than half of them use it for business purposes. Another research reveals that 93% of the marketers use social media for business promotion. Besides, 43% of small businesses spend 6 hours or more each week on social media. 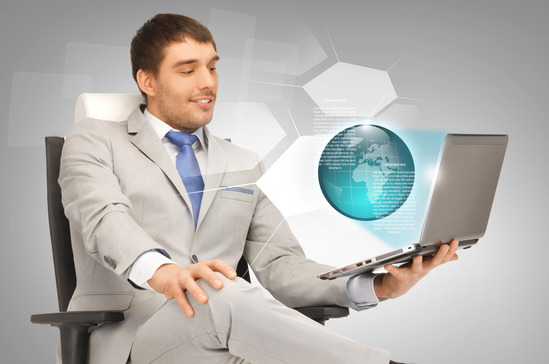 Moreover, by using an Internet connection on a laptop computer, one can create a virtual mobile office. One can stay connected with the business all the time and work online from almost any place in the world. Due to this, the modern entrepreneur gets the advantages of ease, convenience and flexibility like never before. Smart phones are wrist sized mobile phone devices which provide with worldwide mobile Internet connectivity to its users. They are continuously improving in the quality and amount of services they provide and are being gradually introduced in the market. A typical smart phone offers the most common tasks carried out on a computer. By using Internet on a smart phone, one can get mobile Internet connectivity and can connect with everyone on the Internet from almost any place in the world. One can even perform all the operations on the mobile Internet, which can be carried out by using Internet on a computer. It is like one can get connectivity with the entire world by holding a smart phone in one’s wrist. Thus, even though small in size, a smart phone provides with a smart alternative to laptop Internet computing. A study indicates that 66% of small business owners are using mobile devices or solutions as part of their day to day operations. Moreover, smart phones come with in-built mobile applications. 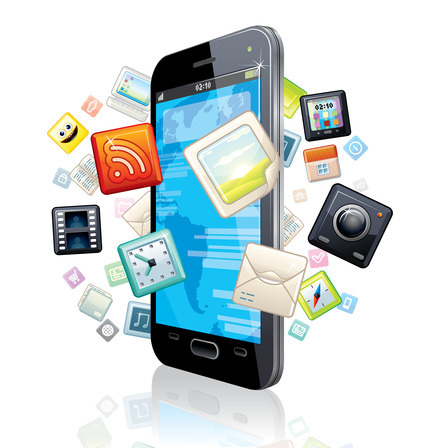 A business can built its application and offer it on smart phones. This way, people can directly connect with the business using its app. This way, smart phones also provide with an easy and faster connectivity with the businesses. According to a study, 29% of Americans say their phone is the first and last thing they look at everyday. Besides, one half of all local searches are conducted on smart phones. It has also been found that 25% of enterprises will have an enterprise app store by 2017. 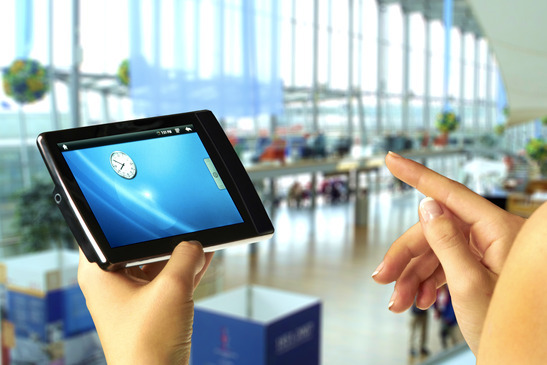 A tablet is a touch screen innovative computing device which enables performing basic computing operations and surfing the Internet from almost any place. It can be considered as a cheap alternative to a computer and is suitable for performing the basic computer tasks. A tablet can be considered as a mid-sized computer as it is smaller than a laptop and bigger than a smart phone. The touch screen facility provides with an innovative computing experience while carrying out basic computer and Internet operations with ease. A small business can easily afford to purchase a tablet as it is a low priced device. A study says that table adoption is expected to jump from 51% to 58% within the next 12-18 months. A modern entrepreneur can successfully exploit the utility provided by a tablet for performing his basic business operations with ease and convenience using a tablet device. The rise of new technological devices has made it easy and convenient to perform different business tasks. Now, a modern entrepreneur can work at anytime from anywhere by remaining away from his work desk but even then staying connected with his business. Overall, it can be said that technology has indeed molded the modern entrepreneur in a significant way. So, in what other ways do you think technology has molded the modern entrepreneur?